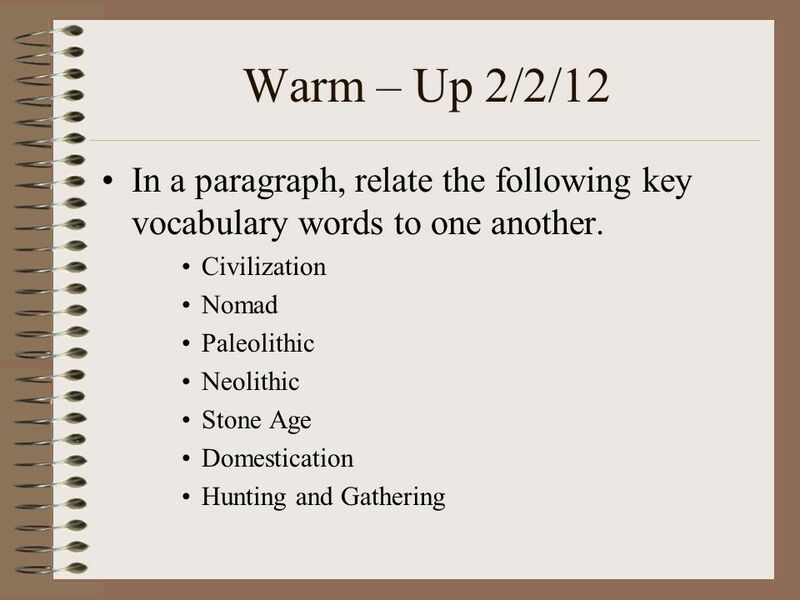 Warm – Up 2/2/12 In a paragraph, relate the following key vocabulary words to one another. Civilization Nomad Paleolithic Neolithic Stone Age Domestication. 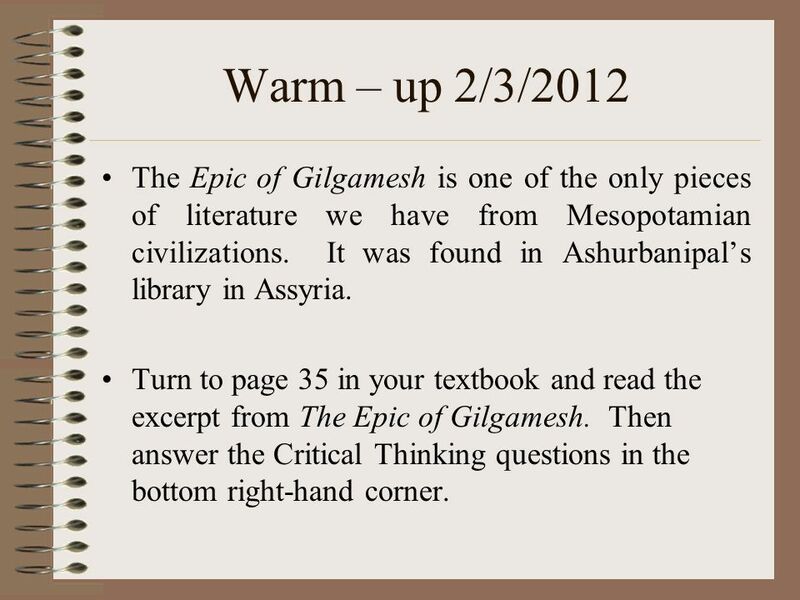 2 Warm – up 2/3/2012 The Epic of Gilgamesh is one of the only pieces of literature we have from Mesopotamian civilizations. 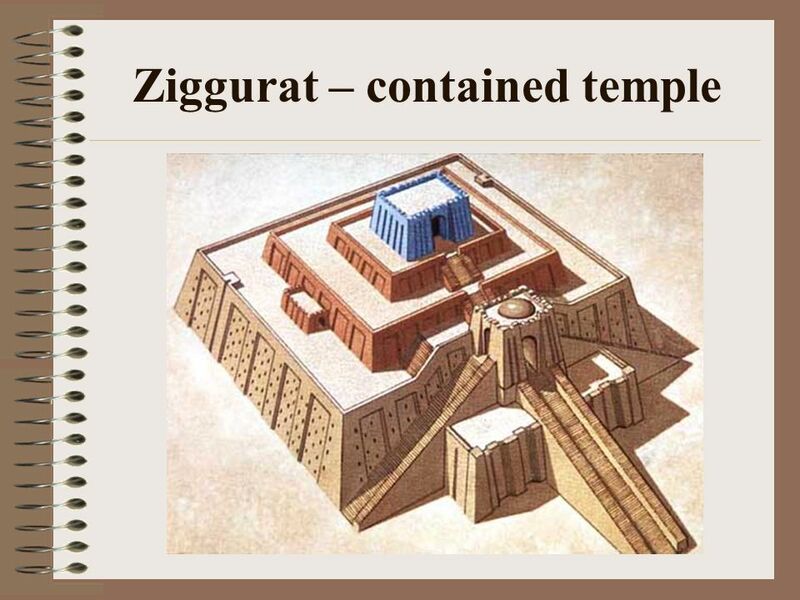 It was found in Ashurbanipal’s library in Assyria. 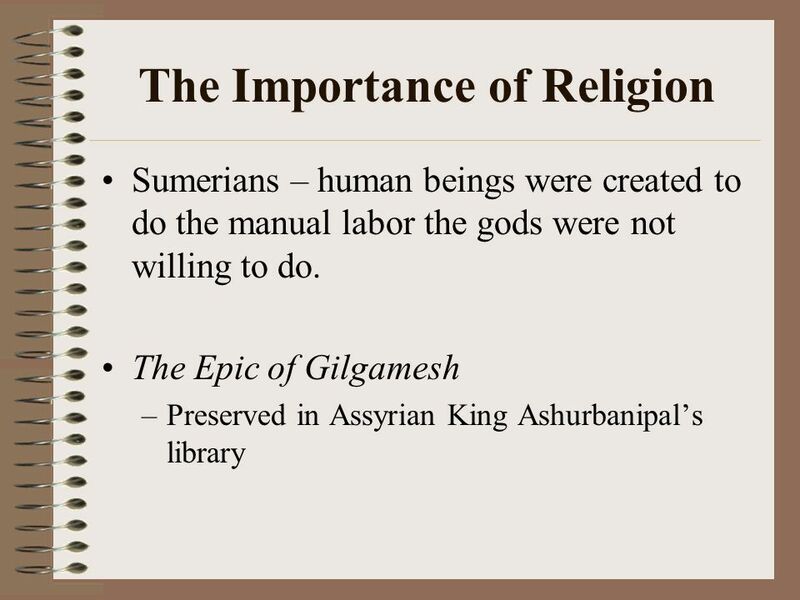 Turn to page 35 in your textbook and read the excerpt from The Epic of Gilgamesh. Then answer the Critical Thinking questions in the bottom right-hand corner. 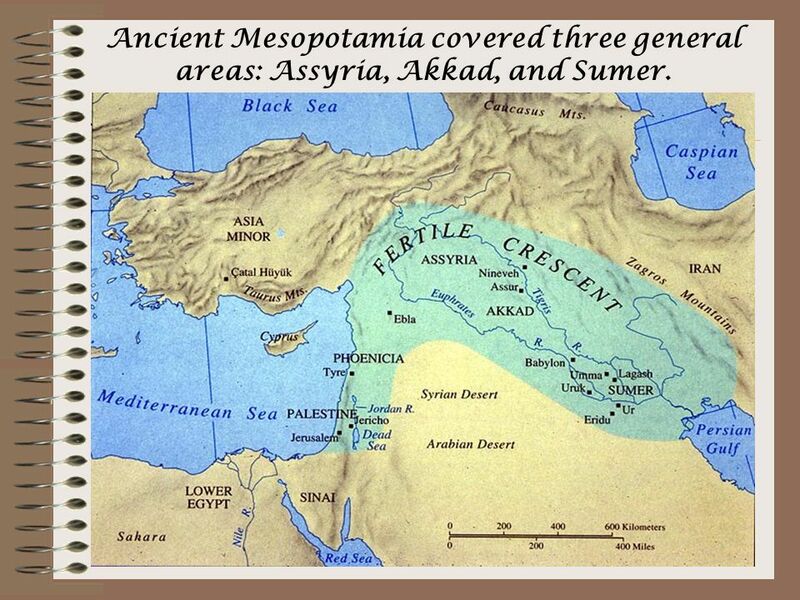 5 Ancient Mesopotamia covered three general areas: Assyria, Akkad, and Sumer. Theocratic government Religion and government overlap Priests played large leadership roles until Kings began to take over. 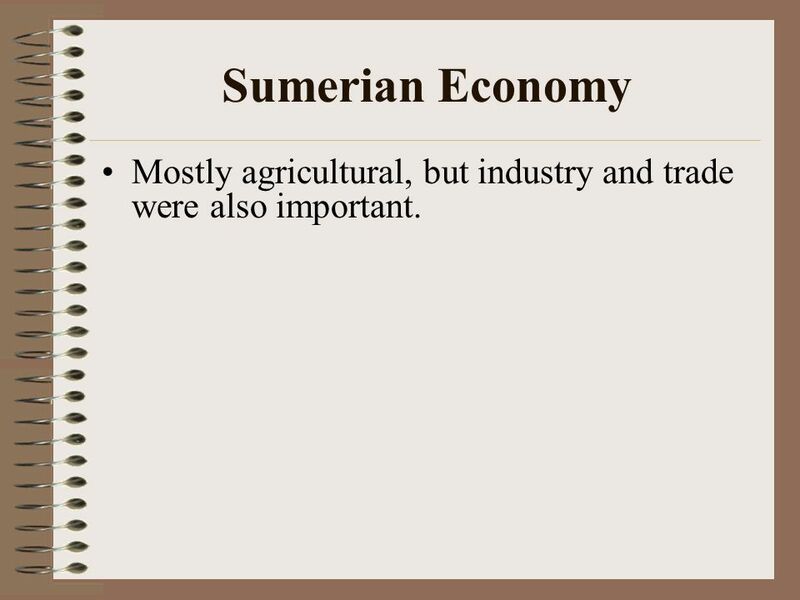 10 Sumerian Economy Mostly agricultural, but industry and trade were also important. 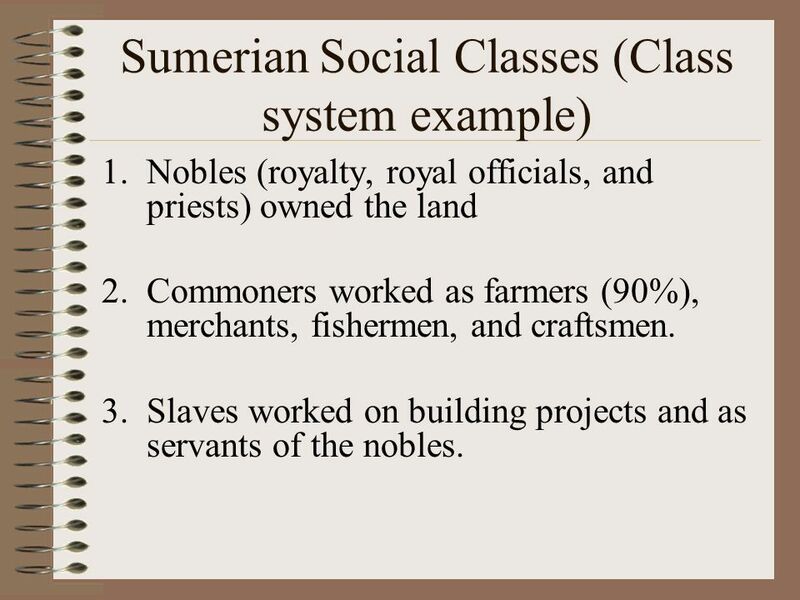 Nobles (royalty, royal officials, and priests) owned the land Commoners worked as farmers (90%), merchants, fishermen, and craftsmen. Slaves worked on building projects and as servants of the nobles. 12 Beginnings of Empires 1790 B.C.E.  Babylonian empire became the first to unite much of Mesopotamia. 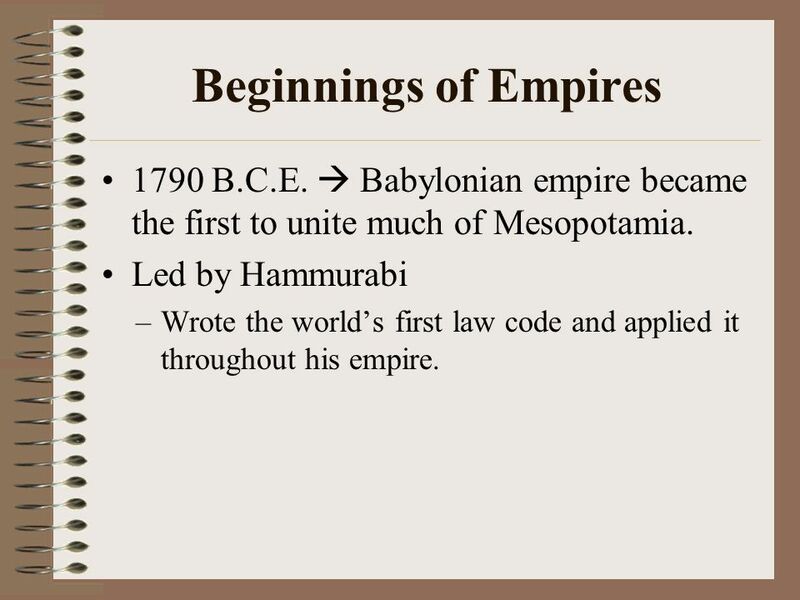 Led by Hammurabi Wrote the world’s first law code and applied it throughout his empire. 13 Hammurabi’s Code One of the world’s earliest systems of law. 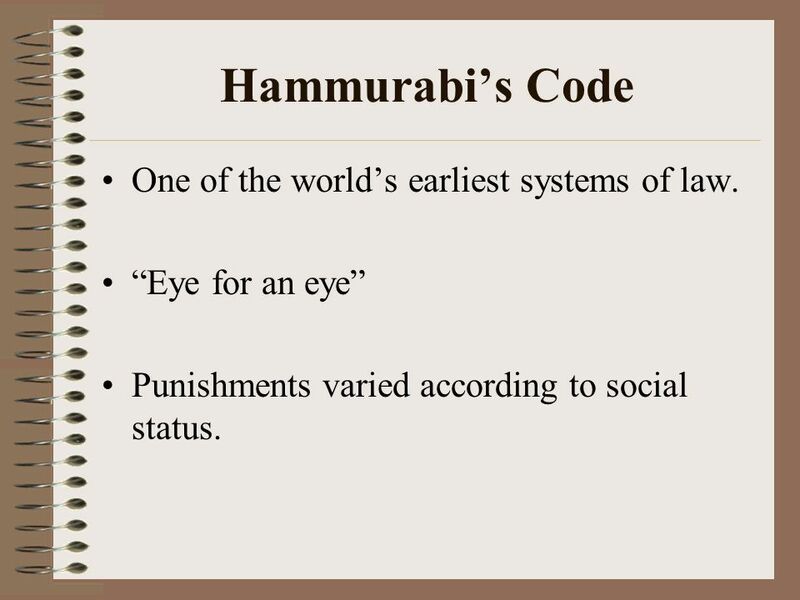 “Eye for an eye” Punishments varied according to social status. 14 Warm – Up 2/6 A __________________ was a massive stepped tower found in Mesopotamian city-states; on top was the temple, the most important building in each city. 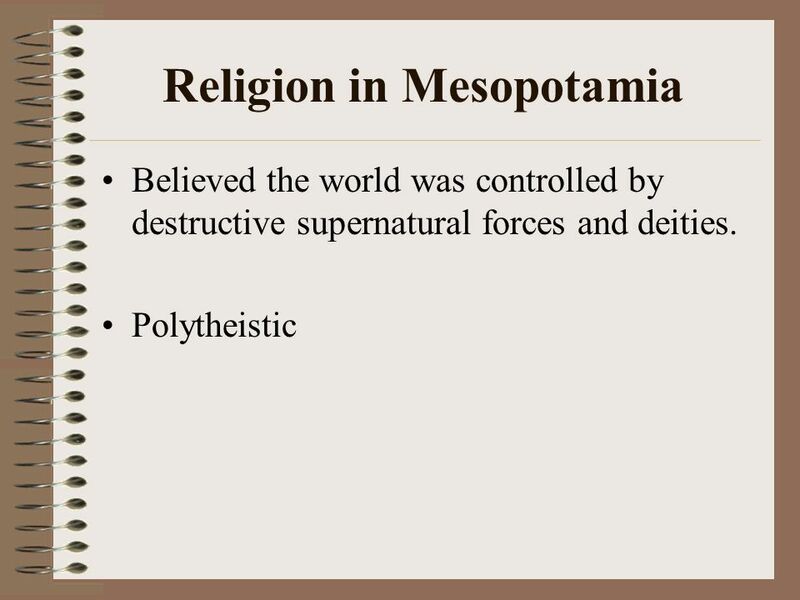 What does Mesopotamia mean? 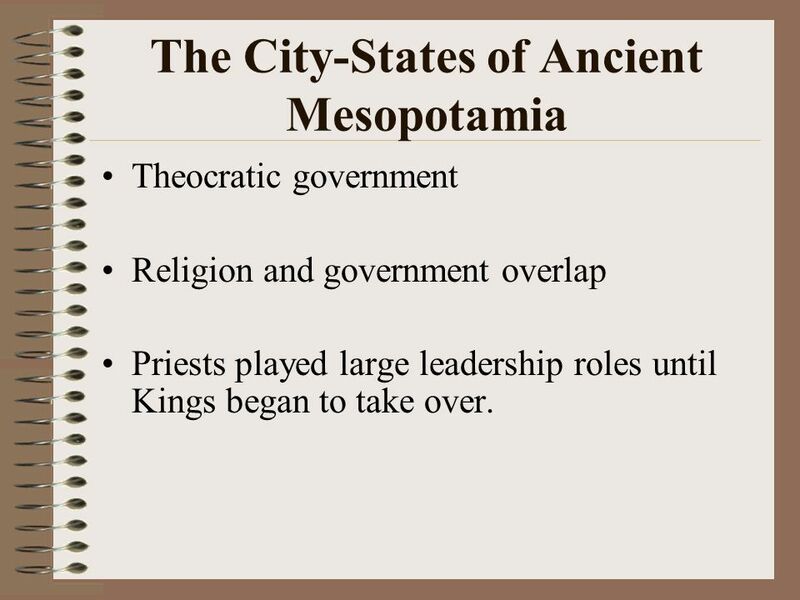 What kind of government did city-states in Mesopotamia establish? Who established the Babylonian Empire and wrote the first law code? 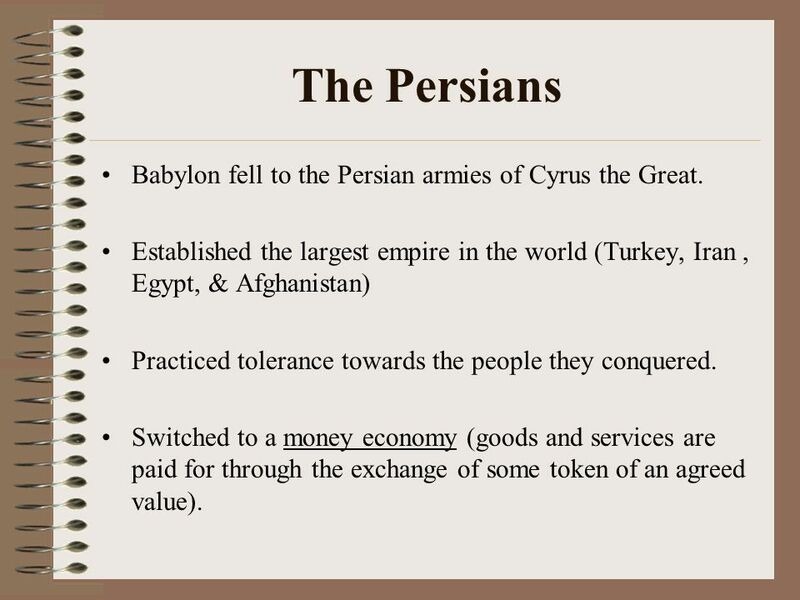 15 The Persians Babylon fell to the Persian armies of Cyrus the Great. Established the largest empire in the world (Turkey, Iran , Egypt, & Afghanistan) Practiced tolerance towards the people they conquered. Switched to a money economy (goods and services are paid for through the exchange of some token of an agreed value). 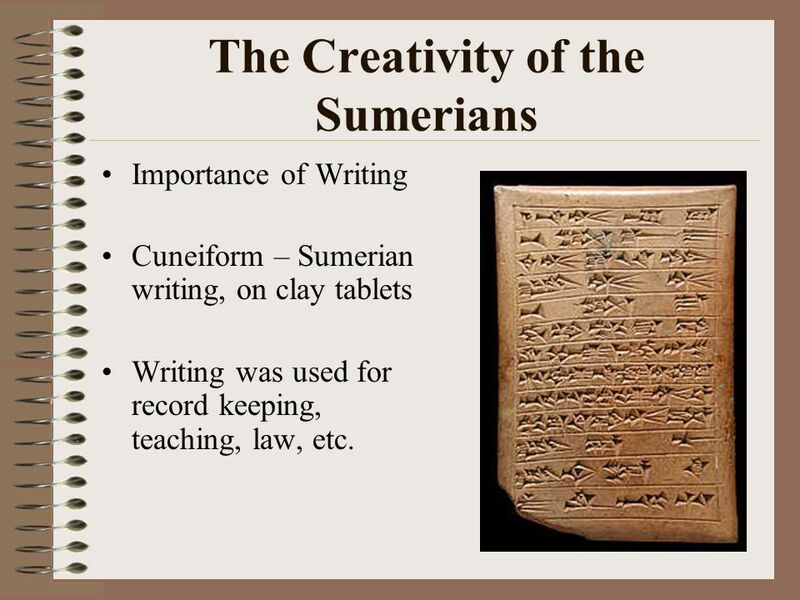 Importance of Writing Cuneiform – Sumerian writing, on clay tablets Writing was used for record keeping, teaching, law, etc. 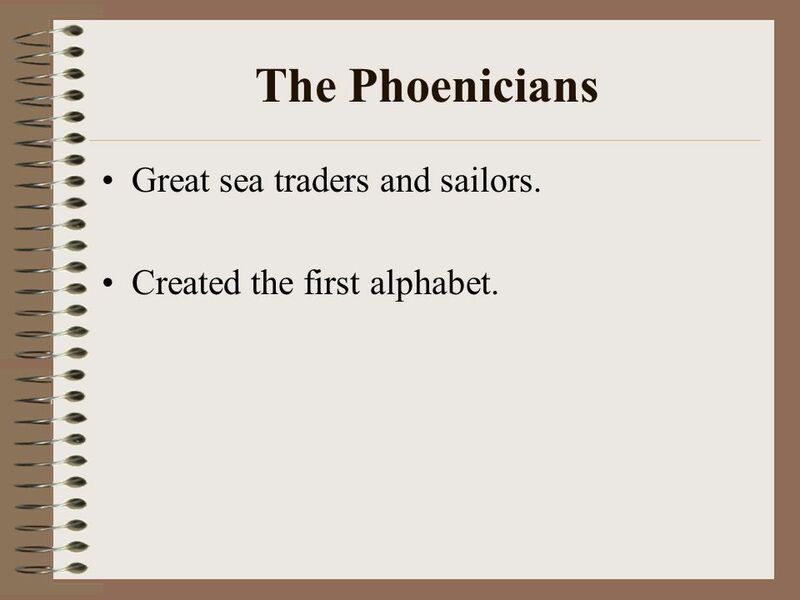 20 The Phoenicians Great sea traders and sailors. Download ppt "Warm – Up 2/2/12 In a paragraph, relate the following key vocabulary words to one another. Civilization Nomad Paleolithic Neolithic Stone Age Domestication." 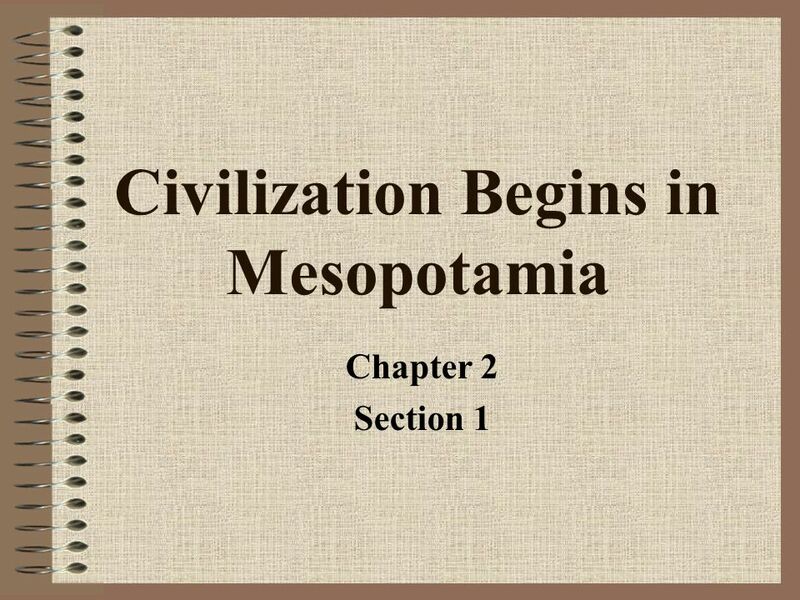 Mesopotamian Civilization: Part 1 Begun 8/18/2014 Need more help? me or come to office hours- Wed. AM or Thur. PM. Do Now: What major rivers are seen on this map? Civilization Begins in Mesopotamia Global Connections. Mesopotamia. 1. Sumer a. Geography i. 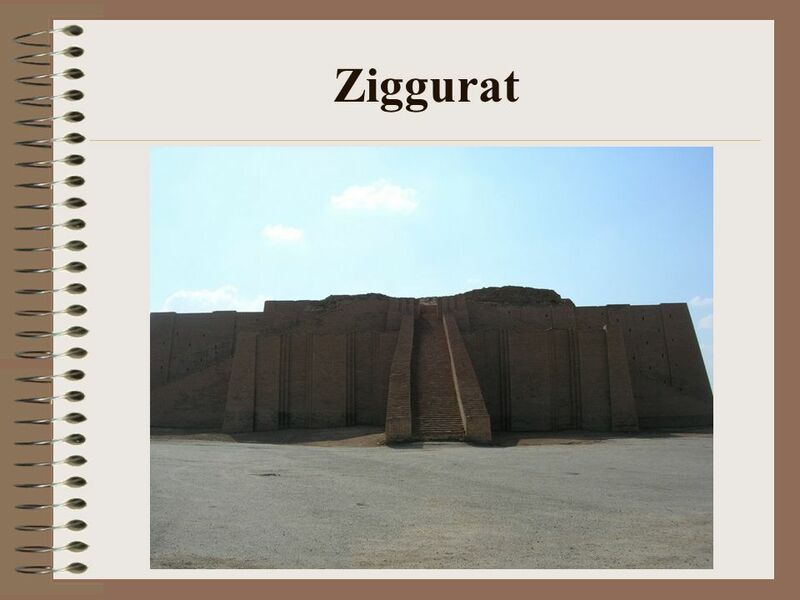 Located in an area called the Fertile Crescent 1. It is a region that curves between the Mediterranean Sea and the. 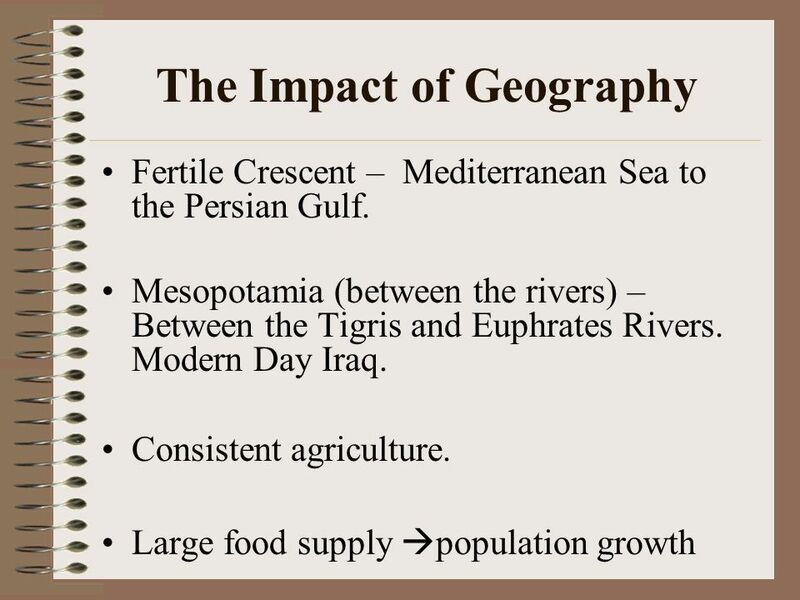 9 th grade acceleration April 22, Where is Mesopotamia? There is no country or area on a map today called “Mesopotamia.” Today, it includes the. TEKS 8C: Calculate percent composition and empirical and molecular formulas. 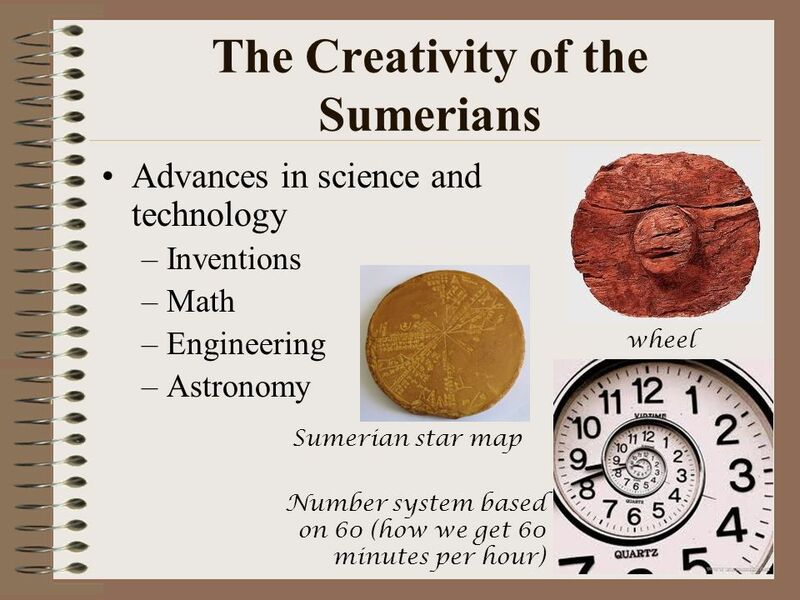 Sumerian Civilization. River Civilizations & Egypt Nadzak The development of farming was so AWESOME it’s considered a REVOLUTION! The Neolithic Revolution ? Sections 1-3  Anthropologist: study how people interact  What do the three areas have in common?  How are they different?  Historian: study & write.  Journal: ½ in complete sentences  What crime did you bring for homework? 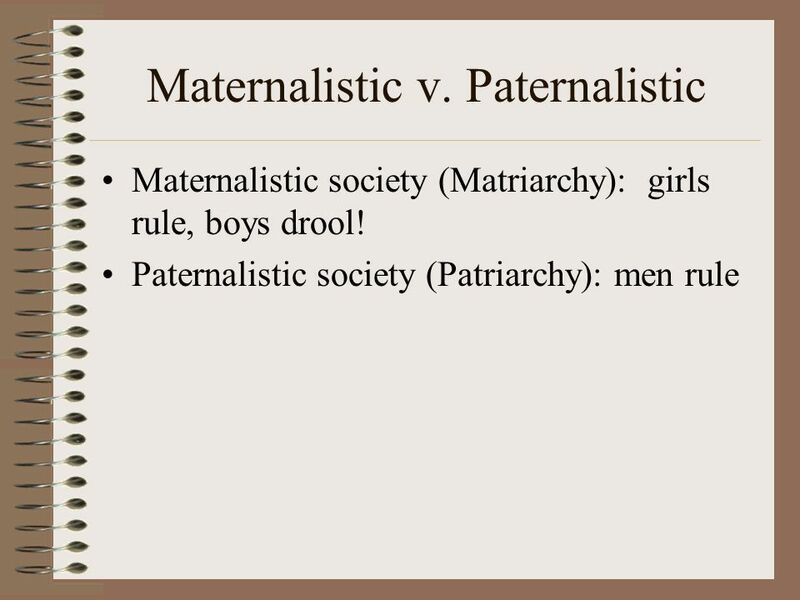 Summarize your article.  Does your article discuss the criminal’s race or. V-SHARE (RGRHODES) 1. Mesopotamia Notes #1 WORLD HISTORY 9/28/11 3. Mesopotamia Notes #1 4. River Valleys Civilizations Chart 5. Complete Database and.  History begins when people first began to write 5,500 years ago  Artifacts and fossils give us clues  Archeologists and anthropologists study these. Mesopotamia. Do Now Decode the following: U R A GR8. 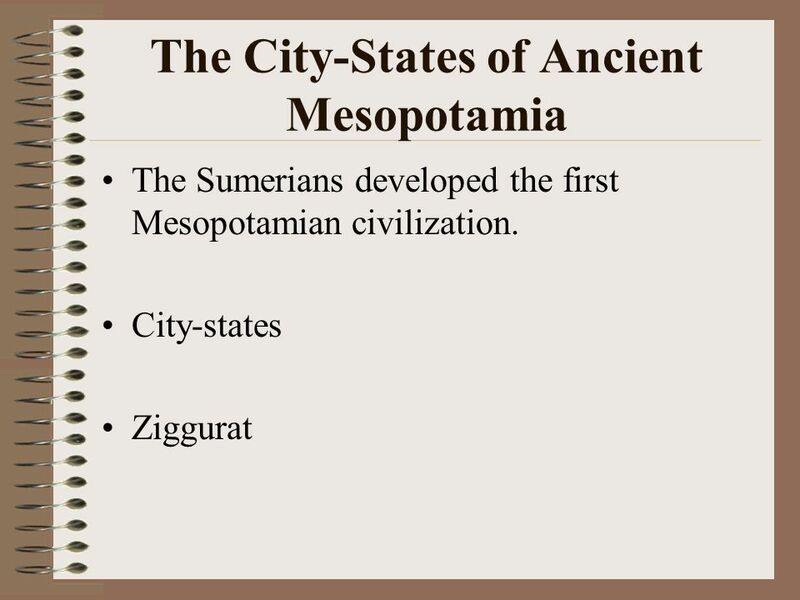 Mesopotamian Civilizations Geography  Mesopotamia means the “land between the rivers”  Tigris and Euphrates Rivers (flow into the Persian Gulf)  aka.